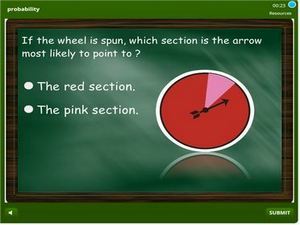 This is a probability quiz for kindergarten kids online. 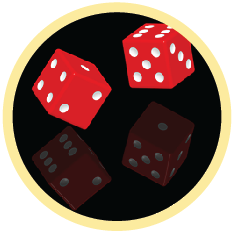 It will serve educators and parents to review skills in probability like finding out how more or less likely it is for some event to occur. In this case there are wheel spin exercises and draws to make from a set of objects. This math test is interactive and learners can get instant feedback as they progress. There are also badges to be earned as players proceed. Click and start practicing.